If you're debating the Eighth Amendment with family and friends or are undecided on the referendum it's crucial you watch Ann Lovett: The Story That Wouldn't Remain Local. On the afternoon of 31st January 1984, fifteen-year-old Ann Lovett was discovered in a grotto just outside the town of Granard, by passers-by. Ann had just given birth to a baby boy and the episode explores how the tragedy prompted a sea-change in Irish attitudes. The story was not reported until an anonymous caller from Granard contacted The Sunday Tribune. Once the story reached the national newspapers, five days after Anne Lovett's death, the nation took notice. Anne was found with scissors by her side and dressed in her school uniform. The story prompted a crucial backlash on Catholicism and Irish attitudes towards women. 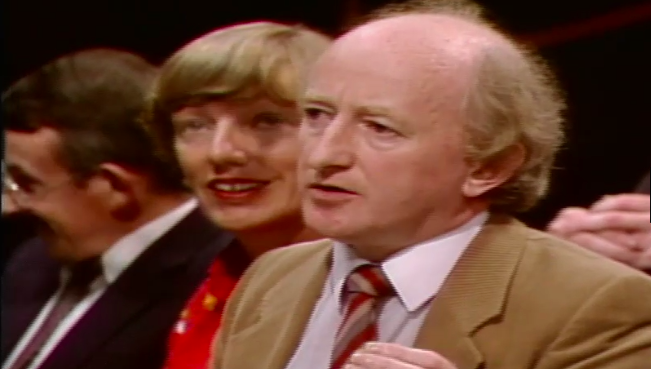 A crucial moment in the episode shows a young Michael D Higgins, Ireland's current President, in the audience of The Women's Programme calling for better treatment of women; contraception, and for a discussion about the term 'unborn' and its definition. The episode is in Irish but subtitled and it's a crucial watch for anyone debating the referendum on the Eighth Amendment. Ann's death came five months after the Eighth Amendment was voted into the constitution and the episode looks at the clashes between pro-choice and pro-life campaigners and how one story opened the door for women to come forward with their own. The 30-minute episode is only available to watch for the next six days so make sure you click here and give it a watch.